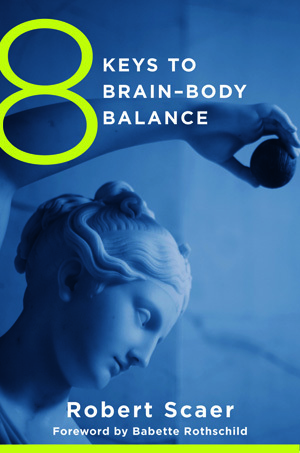 8 Keys to Brain–Body Balance - Description | W. W. Norton & Company Ltd.
Understanding how our brains and bodies actually work is a powerful tool in mitigating the anxiety generated by unpleasant physical and emotional symptoms that we all may experience from time to time. Here, Robert Scaer unravels the complexities of the brain-body connection, equipping all those who are in distress with a plausible explanation for how they feel. Making the science accessible, he outlines the core neurobiological concepts underlying the brain-body interface and explains why physical and emotional symptoms of stress and trauma occur. He explains why “feelings” represent physical sensations that inform us about the nature of our brain-body conflicts. He also offers practical, easy-to-implement strategies for strengthening motor skills, learning to listen to our gut to gauge our feelings, attuning to the present, and restoring personal boundaries to relieve symptoms and navigate a path to recovery. A neurologist's view of our response to trauma.